The 2014 season was pretty solid for the Houston Texans and playing in the AFC South, the Texans have a good chance to be relevant in 2015. Having J.J. Watt always gives the Texans a chance, and with LB Jadeveon Clowney healthy, after an injury riddled season, we see Houston's defense as very strong. However, the QB and RB situation for this organization is up in the air right now. Arian Foster had surgery on his groin, and could miss over half the season. leaving a bunch of unknowns to rush the ball. At QB, Brian Hoyer and Ryan Mallet will battle for the job, neither of whom have much experience as the leader of an NFL club. Overall, we think the Texans defense will get them some wins, but we don't see a Foster-less Texans making the playoffs in 2015. The Texans will have to rely heavily on Brian Hoyer (we expect him to win the starting job) early in the season to carry the offense. DeAndre Hopkins is looking strong, and the signing of Nate Washington and Cecil Shorts should help to passing game. However, we expect a very conservative style of offense out of the Texans, avoiding turnovers, and letting the defense win games for the Texans. The Texans defense will be a fun group to watch in 2015. 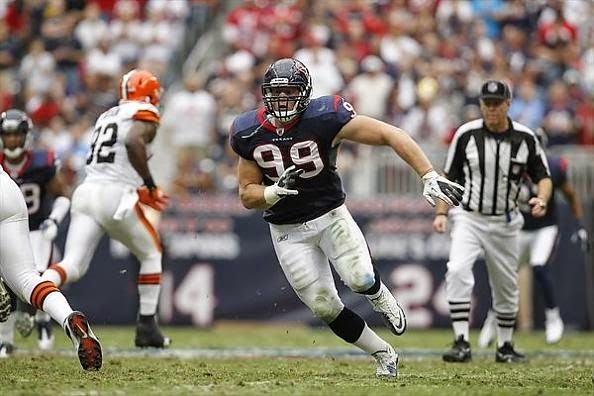 J.J. Watt is an elite defender, and guys like Clowney, Cushing, Jackson, Joseph, Moore, and Wilfork are all solid contributors. Expect the unit to produce some big plays and be a strong option as a DST in redraft leagues.